I was trying to think a few hours ago – after his shameful, outrageous, insane breaking of a solemn international treaty – just who Donald Trump reminded me of. I used to think about the boastful, gung-ho racist Theodore Roosevelt, the ‘Rough Rider’ who enjoyed war (and threats). But Theodore Roosevelt actually did win the Nobel Peace Prize. And then I realised. The parallels are quite creepy. Gaddafi was crackers, he was a vain, capricious peacock of a man, he was obsessed with women, he even had a ghostwriter invent a ‘Green Book’ of his personal philosophy, just as Trump had his business manual written for him. Gaddafi was vengeful towards his opponents but his views on the Middle East were odd, to say the least. He once advocated a one-state solution to Israel and Palestine which – in all seriousness – he suggested should be called ‘Israel-tine’. A bit like moving the US embassy from Tel Aviv to Jerusalem. Trump’s White House is now like Gaddafi’s tent, which the Libyan leader took with him everywhere. Trump’s late-night television viewing was not unlike Gaddafi’s insistence that business must be done in his tent. 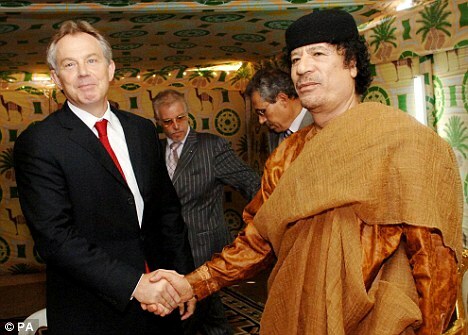 Gaddafi’s handshake was legendary – so was his kiss from Tony Blair, who was as obsequious to Gaddafi in Libya as Theresa May was to Trump in Washington. Much good did it do Blair or May. Gaddafi ran his business dealings through his family – now there’s a thought – and even maintained good relations with Russia. His speeches were interminable – he liked the sound of his own voice – and although he constantly lied, his audience was forced to listen and to fear his wrath. Above all, Gaddafi was completely divorced from reality. If he lied, he believed his own lies. He believed that he kept his promises. He believed in the world he wanted to believe in, even if this was non-existent. His Great Man Made River Project was supposed to Make Libya Great Again. If all this seems flippant, there is a weird parallel between Trump and other Middle Eastern leaders – the ex-Iranian president Mahmoud Ahmadinejad comes to mind. He claimed that a holy cloud appeared over his head when he spoke at the UN and then denied he’d said this – until an Iranian political opponent produced the videotape. I wonder, after Trump’s latest, disgraceful performance, we’ll soon hear from Ahmadinejad again. The only other man whom we might compare to the American president, I suppose, is Korea’s “little rocket man” himself – whom a few hours ago appeared to be the man who might provide Trump with that Nobel Prize. Dare one utter the obvious words: Ye Gods! 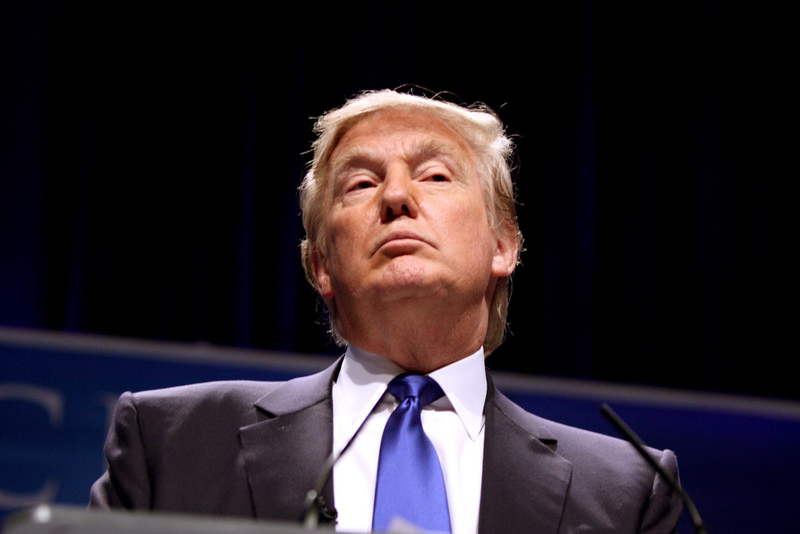 Of course, we know what Trump’s breaking of the Iranian nuclear deal means – quite apart from his lies and fraudulent arguments about the original agreement: the United States is now a part of Israel’s foreign policy. The Arabs used to say that Israel was an American state. Now the US has become part of the Israel state. That infamous speech contained seven references to “terror” in relation to Iran – “state sponsor of terror”, “supports terrorist proxies”, “reign…of terror”, “a regime of great terror”, “funds…terrorism”, “support for terrorism”, “the world’s leading state sponsor of terrorism” – and so on and so forth. This is almost as good as Benjamin Netanyahu’s speeches at the UN. And we are supposed to believe, like children, that Shiite Iran is supporting Sunni Muslim al-Qaeda – when it’s been fighting al-Qaeda in Iraq and Syria. We are supposed to believe that Iran’s long-outdated “intelligence documents” provide “definitive proof” that Iran’s promise of not pursuing nuclear weapons is a lie. But what is America worth now – in the Middle East or anywhere else (North Korea comes to mind) – when it can so blatantly tear up an international treaty agreed by the US government itself. That used to be what some European leaders – one in particular – did in the first part of the 20th century. Just play the scenario backwards and switch the characters in this obscene drama. Imagine that the American government managed to forge an international nuclear agreement with Iran. But then consider what would happen if Iran’s reaction to Trump’s presidency was to announce that the Islamic Republic would shred the agreement. The Mays and the Macrons and the Merkels would line up – perhaps even with Russia and China – alongside Trump to denounce this act of perfidy. How could Iran break so binding an international treaty, we would ask ourselves? What kind of regime runs Iran? It would almost be enough to call it a ‘terrorist regime’. That’s why I most enjoyed Trump’s expression of love for Iranians. All US presidents say how much they love the people they are about to invade. Bush said the same about the Iraqis. So did Reagan before he bombed Gaddafi’s Libya. Now Trump feels sorry for the “long-suffering Iranians”. Trump reminded us all of a time when Iran “prospered in peace” and “commanded the admiration of the world” – and no-one has spotted that he was referring to the Shah’s Iran whose Savak secret police kept Iranians in a state of permanent fear and terror through a programme of obscene tortures.